Chicago White Soxplayers considered not playing in Wednesday's spring training game in support of former teammate Adam LaRoche, sources told ESPN's Karl Ravech. LaRoche abruptly retiredTuesday after team presidentKen Williams told the slugger that he had to limit the time his 14-year-old son, Drake, spent with the team. Sources told Ravech that White Sox manager Robin Ventura intervened and persuaded the players, who were united in support of LaRoche, to play the game against theMilwaukee Brewers. There likely will be a meeting in the coming days among owner Jerry Reinsdorf, executive vice president Ken Williams and general manager Rick Hahn to go over ground rules for clubhouse access for those in upper management. Sources said there is a division between those in the front office and Ventura and his players regarding clubhouse access. LaRoche, 36, walked away from a contract that would have paid him $13 million this season. Thursday, the issue of kids in clubhouses was a hot topic at Cubs camp. "I don't think you need to draw the line, to be honest," first baseman Anthony Rizzo said. "If all 25 guys are bringing in their kids and it's a zoo and a circus, then you get together as a group and police it." Rizzo also said, however, that LaRoche's struggles at the plate last season were a factor. "It wouldn't be an issue if he drove in 100 [RBIs] and hit 25 [home runs]," he said. Cubs catcher David Ross, a veteran of seven major league teams, said, "If I had a year under my belt with the organization and my son wasn't allowed in I'd have a problem with it." But he also said he understands that baseball is a business, and the White Sox have the right to make the rules. Williams addressed the issue with reporters Wednesday and said that kids are still permitted in the White Sox's clubhouse, but they shouldn't be there every day, saying no job would allow that. Williams said he first talked to LaRoche about cutting back on his son's time in the clubhouse a week ago, then again Sunday. "There has been no policy change with regard to allowance of kids in the clubhouse, on the field, the back fields during spring training," Williams told Fox Sports. "This young man that we're talking about, Drake -- everyone loves this young man. In no way do I want this to be about him. "I don't think he should be here 100 percent of the time. And he has been here 100 percent, every day, in the clubhouse. I said that I don't even think he should be here 50 percent of the time. Figure it out, somewhere in between. "We all think his kid is a great young man. I just felt it should not be every day, that's all. You tell me, where in this country can you bring your child to work every day?" LaRoche, a first baseman-turned-designated hitter, signed a two-year deal for $25 million with the White Sox a year ago. But he struggled in 2015, batting just .207 with 12 homers. He hadn't played since early this month because of back spasms. The White Sox, who haven't made the playoffs since 2008, made several moves in the offseason in the hopes of greatly improving their 76-86 record from last year. According to MLB.com, LaRoche has indeed filled out his retirement paperwork, but the White Sox, in allowing him time to reconsider, have not yet submitted it to Major League Baseball's central office. "He seemed pretty convicted in his decision," Williams said. "He didn't come back to talk to me about it before he made the decision. I thought there was enough flexibility built in." ESPN Cubs reporter Jesse Rogers and The Associated Press contributed to this report. Karl Ravech joins Mike & Mike to explain why the White Sox considered boycotting their Wednesday game against the A's until manager Robin Ventura intervened in the situation surrounding Adam LaRoche and his son's visits with the team. Is LaRoche really done playing baseball? 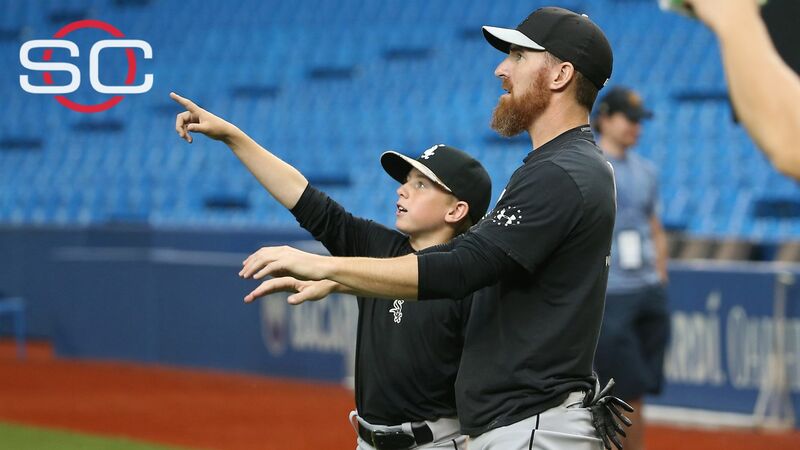 Pedro Gomez shares his insight on the role of Adam LaRoche's son Drake within the clubhouse at Chicago's spring training facility, as well as his thoughts on whether LaRoche is serious about walking away from the baseball for good. 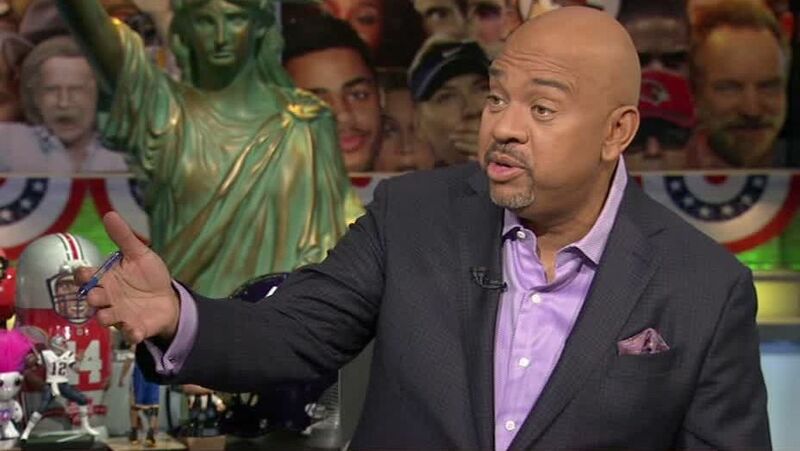 Michael Wilbon and Tony Kornheiser agree that the White Sox did the right thing in limiting Adam LaRoche's son's access to the clubhouse, although that limitation was the reason LaRoche decided to retire from baseball.